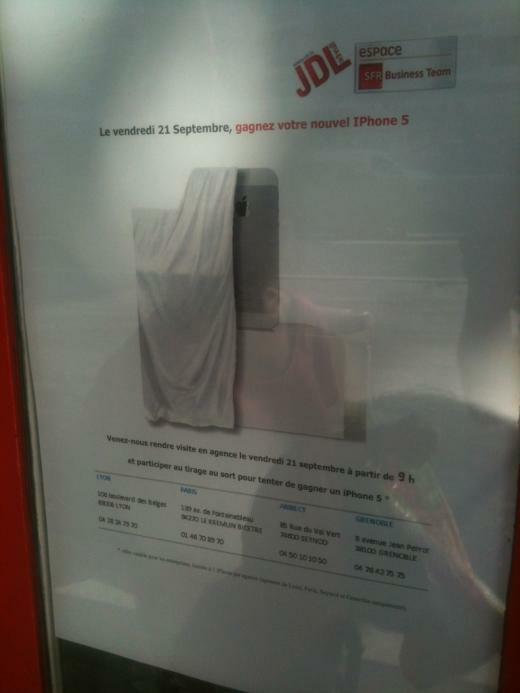 If this signage is to be believed, French carrier SFR will be offering the iPhone 5 come September 21st. While it’s expected that the next iPhone will go on sale in the U.S. on the 21st, international availability details have remained scarce. The display is about a SFR contest to win a free iPhone 5 on the network once its available. The picture of the actual device is probably a mockup based on rumors, but this shows that SFR is getting ads together before Apple’s announcement.